1,393 Steps From the Sidewalk TO THE ROOF! | Keep It Up, David! It only gets taller as you get closer. 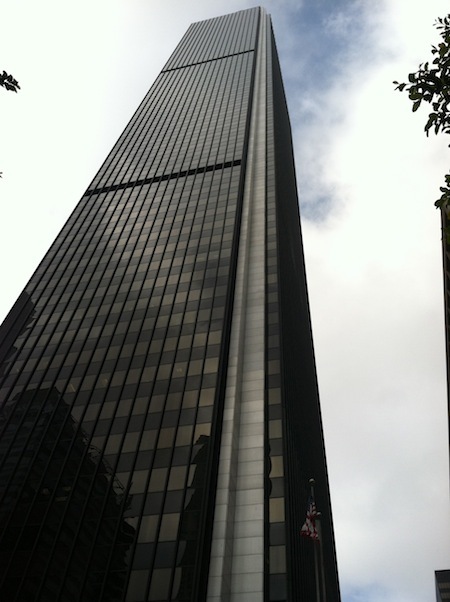 The Aon Center is the second-tallest building in the state of California, and the third-tallest west of the Mississippi. 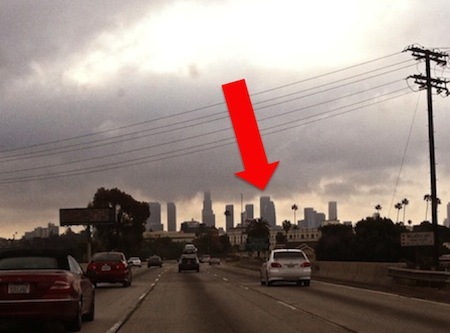 It has 63 stories, and reaches 860 feet into the air. 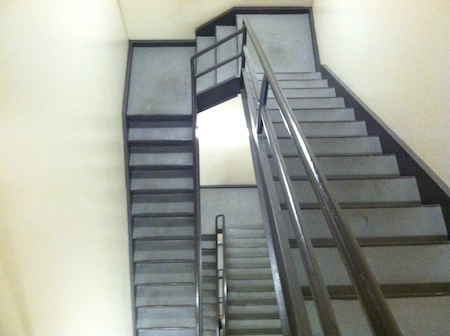 Getting from the sidewalk to the roof involves climbing up 1,393 steps. And that’s the task at hand when you sign up for the Fight For Air stair climb! I got at the event around 8am – plenty of time before I was scheduled to begin climbing, at 9:15. I signed in and got my bib. I did a lot of stretching, attached the timing chip to my shoe, and spent a lot of time looking at the behemoth of a building that I was about to ascend. Participants in events like these are broken into groups before they’re sent into the building. The first group that enters are the Elite Competitors. These are stair climb enthusiasts who travel the country competing in events like these. They don’t mess around. Then, after they go up, the Competitive group goes up. This group is made of people who, while not as experienced as the Elite group, are legitimately racing to get to the top as fast as possible. I was in this group. After that comes the First Responder group, made up of fireman and paramedics who climb the stairwell in full gear. HOLY CRAP. They’re wearing layers of protective clothing, helmets, and carrying oxygen tanks. These guys (and ladies) are amazing. After the First Responders comes the majority of participants – people who aren’t racing per se, but climbing at their own pace for the fun of it. Around 9:20 or so, I was off! One of the big lessons I learned the hard way last year was to not go all out right at the start, and this year, I paced myself much better. Instead of feeling completely pooped by the 14th or 16th floor, like I did last year, I went pretty strong until the 30th or 35th floor. I still got completely pooped, of course, because stair climbing is a ridiculously difficult endeavor. It’s wicked. Horrible. Torturous. At last year’s event, I met a guy named Mark Trahanovsky, who is the very definition of an Elite climber. 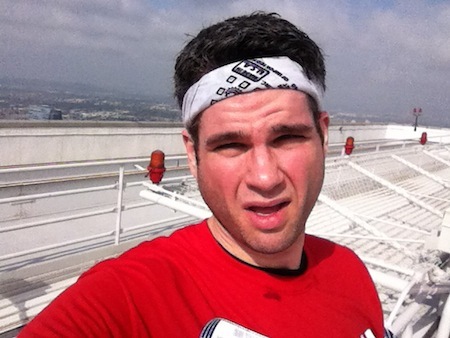 He’s competed in the Aon Center climb for the past 6 years (! ), ever since the event began. He was featured in the NPR story last week hyping this event. (!!) 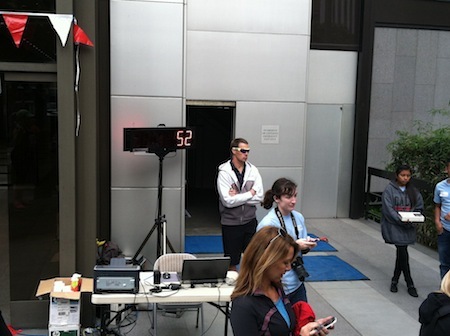 This was his 44th stair climb overall (!!!). He set a world record for being part of a relay team that stair-climbed nonstop for 24 hours (!!!!). Mark is the real deal, in top physical shape, and a helluva nice guy, and it was good to see him at this year’s event. Even he told me, before the race, that he gets nervous before he starts up the stairs. I saw Mark after finishing the race, on the roof on the Aon Center, and while we were catching our breath, he told me that “every time I leave for one of these climbs, I be sure to kiss my wife and kids goodbye, because I know there’s a good chance that I won’t come home alive.” You know how you can tell how difficult and taxing an event like this is? When the experienced experts still fear for their lives. If you couldn’t tell from that last picture, I made it to the roof! I did what I did last last, and focused on making it to milestone floors as I climbed the building: 21st floor (1/3 of the way), 32nd floor (halfway), 43rd floor (2/3 of the way), and than I started counting down how many floors were left. By the 40th floor, I felt like crawling, but I stayed upright, never stopped, and pushed myself, relying on the handrail only when I had to. The other noteworthy thing about stair-climbing is how isolating it it. We started 20 seconds apart from each other, and during the entire climb, I only saw two other competitors, both of whom I passed. Apart from them, and the volunteers handing out water and cheering every ten floors or so, it’s just you and the stairwell. No adrenaline from being part of a crowd, like you get during a 10k run. I’m so thankful for my iPod, because otherwise it’d be mostly silent, too. By the time I hit the roof, I felt ready to collapse. Seriously. My first thought, after crossing the finish line, was “this must be what a heart attack feels like.” But being on the roof is worth it. It’s amazing up there. It was a cloudy day, but so much clearer than it was last year, and the city stretched out, as far as I could see, in every direction. 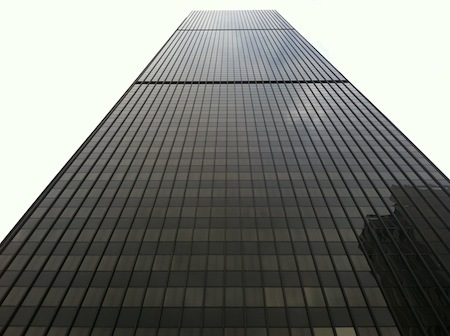 We only had to walk down to the 61st floor, though – and then we took an elevator the rest of the way. Back on the sidewalk, I chugged another bottle of water, ate an apple and half a banana, and soon, they started posting results. I climbed those 1,377 stairs in 17 minutes and 21 seconds. Woo-hoo! Given my illness and general lack of preparation, I was hoping to finish in under 20 minutes, and I did! It was about 2 minutes slower than last year (15 minutes, 24 seconds), but I’m elated. That’s a pace of 16 seconds per floor. I finished 174th out of 620 participants (excluding the 45 First Responders), 115th among all men, and 28th in my age group (men 30-39). My buddy Mark, the Elite Competitor, came in 4th. Out of everyone. His time was 9 minutes, 45 seconds – wowsa! A big thank you to my friends Heather and Joanne. This was a charity event, and I decided a few weeks ago that I was just going to pay the fundraising minimum myself, and not solicit for donations. I didn’t set up a fundraising page, didn’t ask ever for donations on this blog or on Facebook, but Heather and Joanne searched me out on the event website and made a donation anyway, and that means a lot to me. It’s very much appreciated. 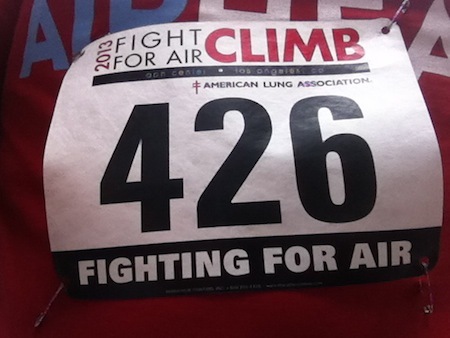 Will I be back for the Fight For Air Climb 2014? It’s way too early to tell. For now, I’m going to bask for a while in this year’s climb. 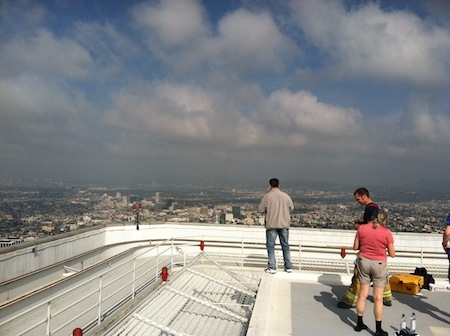 There are nearly 10 million people who live in Los Angeles county, but only a teeny tiny fraction of them have ever climbed to the roof of the Aon Center. I’m one of them, and that’s a feeling that can’t be beat. 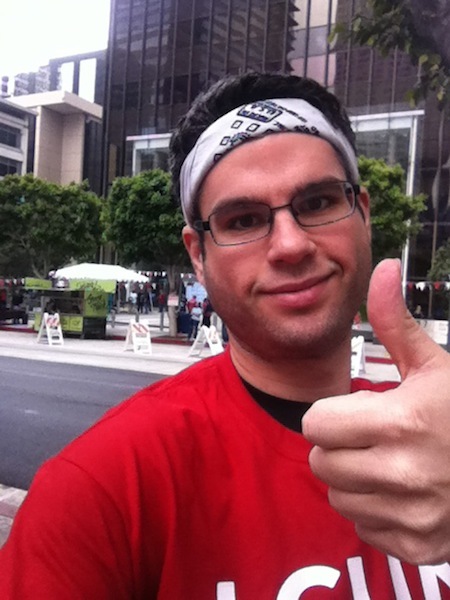 This entry was posted on Monday, April 8th, 2013 at 12:01 am and is filed under Uncategorized. You can follow any responses to this entry through the RSS 2.0 feed. You can leave a response, or trackback from your own site. 9 Responses to 1,393 Steps From the Sidewalk TO THE ROOF! Awesome job David! You are very inspiring!! That’s great David. I want to try that sometime!! David, You are also a super great guy and amazing example > Great write-up and Thanks for the nice words! 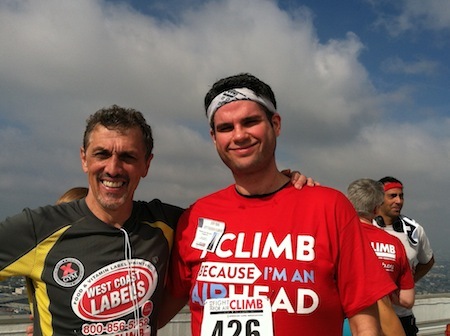 It would be fun to see you at more stair climb events. 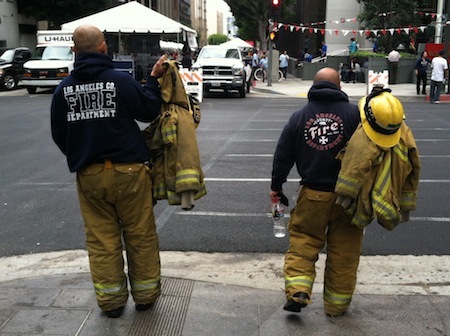 Our next stair climb is going up a 25 floor building in San Diego as many times as you can in a 2 hour period. We take the elevator down though. It is on June 22nd ! Great write up and very solid climb! Sorry I didn’t get to meet you, but glad you met Mark. He’s the biggest ambassador to this whacky sport that you will ever meet…..
You did it!!!!! So cool!!!! Fantastic write-up, David. Glad to hear the skies where a lot clearer this year. I’ll have to make it back again one day to take in the view! Great job and – yes, do it again next year! Holy crap! Great job! I feel winded just reading this! Congratulations David!!!! Your amazing, it’s always great to hear about your climbs, thanks for taking photos of the view. 1,377 steps sounds painful!!! Way to go David!! !